Explanation: A mere 6,000 light-years distant and sailing through the constellation Vela, star cluster RCW 38 is full of powerful stars. It's no surprise that these stars, only a million years young with hot outer atmospheres, appear as point-like x-ray sources dotting this x-ray image from the orbiting Chandra Observatory. But the diffuse cloud of x-rays surrounding them is a bit mysterious. 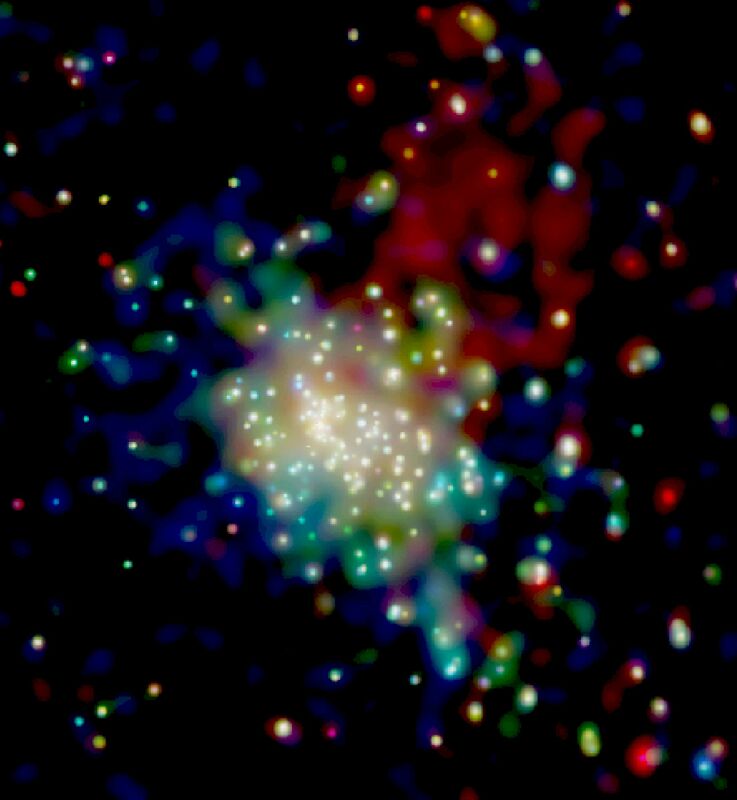 The image is color coded by x-ray energy, with high energies in blue, medium in green, and low energy x-rays in red. 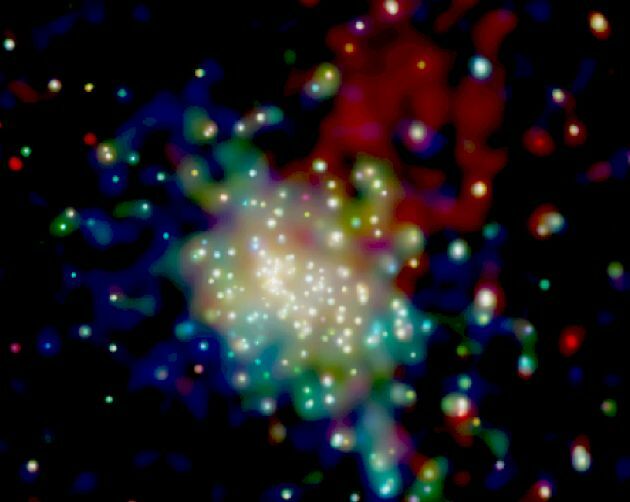 Just a few light-years across, the cloud which pervades the cluster has colors suggesting the x-rays are produced by high energy electrons moving through magnetic fields. Yet a source of energetic electrons, such as shockwaves from exploding stars (supernova remnants), or rotating neutron stars (pulsars), is not apparent in the Chandra data. Whatever their origins, the energetic particles could leave an imprint on planetary systems forming in young star cluster RCW 38, just as nearby energetic events seem to have affected the chemistry and isotopes found in our own solar system.